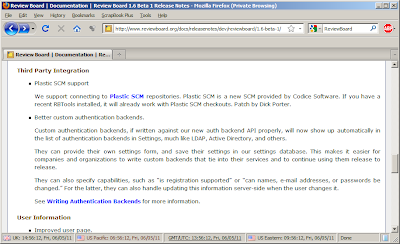 In the latest releases of Plastic SCM versions 3.0.20 to 3.0.23 we introduced a bunch of new features and bug fixes. Beside the full release notes here, this blogpost will highlight some of them. 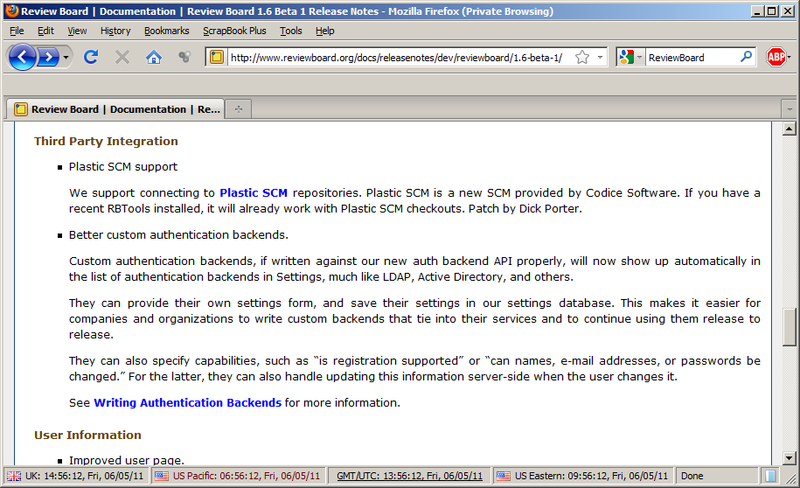 Bugzilla versions 3.6 and 4.0 support with Plastic SCM. The "Import from Plastic SCM" wizard dialog has been redesigned, to allow expanding the repositories to show the existing branches on each repository, so that users can select directly the desired branch to import. 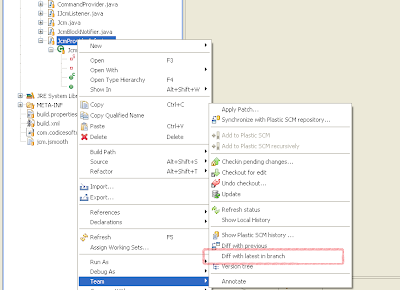 diff with LAST revision on branch when right clicking on an item. 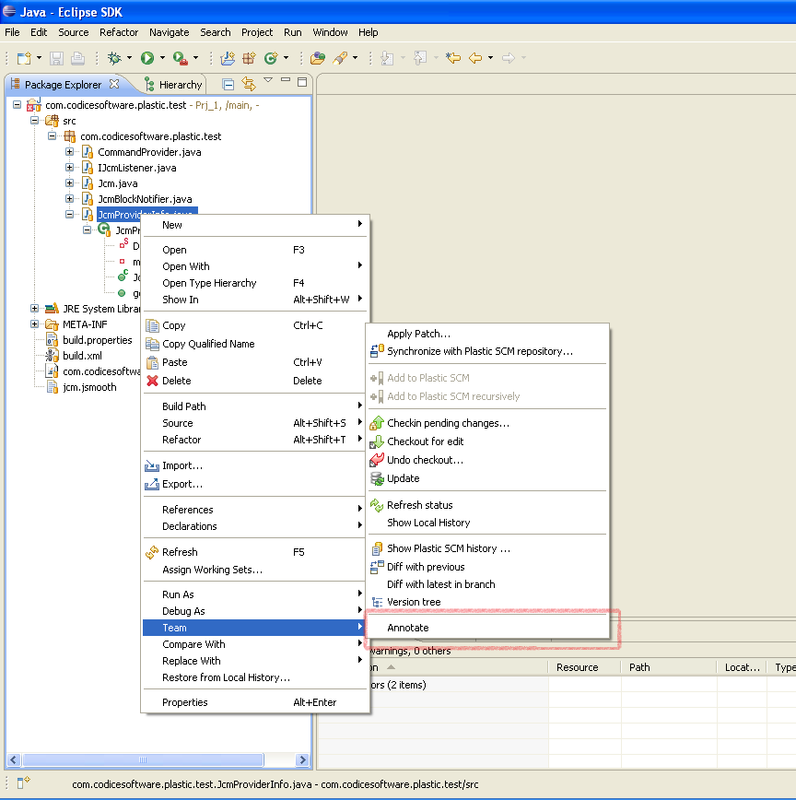 This operation is available also in the Sync view. 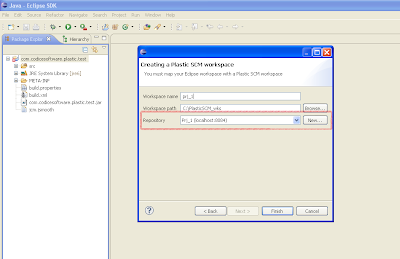 Eclipse plugin: When creating a new workspace (from the Share Project dialog) it is also possible to create a repository. If the newest created repository was deleted and a new repository was created after restarting the server, the ID for the new repository was the ID of the last deleted repository and the operation failed. Now a new ID is generated and assigned to the new repository. 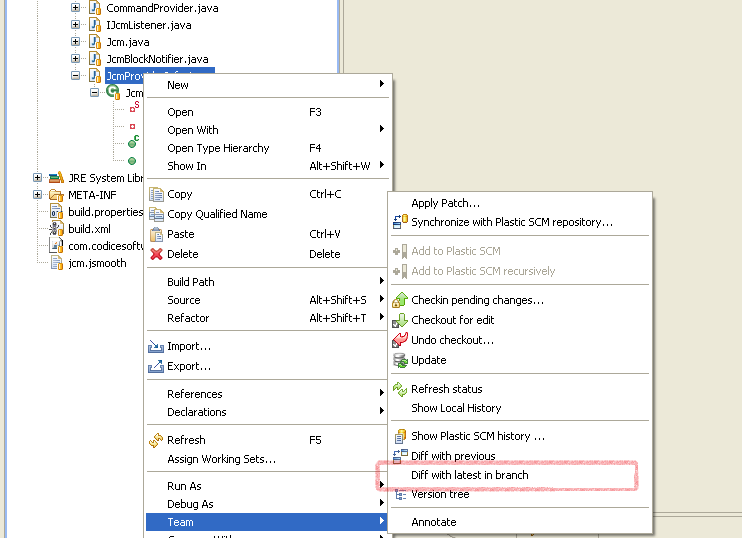 Fixed a bug related to open Plastic SCM views after adding a new solution to version control. 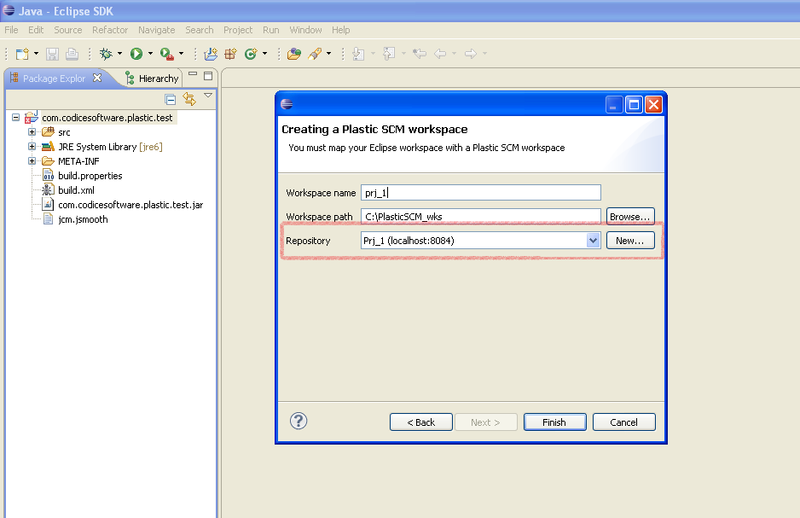 When the Eclipse workbench and the Plastic SCM were not in the same location and the project was multiproject, an update operation failed because Plastic SCM took the workbench root path as the workspace root path. The comments specified on the checkin operation were not reflected on Plastic SCM. There was a problem when several Windows drives were configured to be used. Improvements, visible and behind the scene! Although in the release notes this is mentioned as a bug, but in fact it is an improvement, In release 3.0.187.21 we improved the performance of copy merge operation when dealing with hundreds of files and directories. The update report dialog may show very long messages and require scrolling to view them. Now, the full message is shown, and can be copied by right clicking on it and selecting "Copy error text". 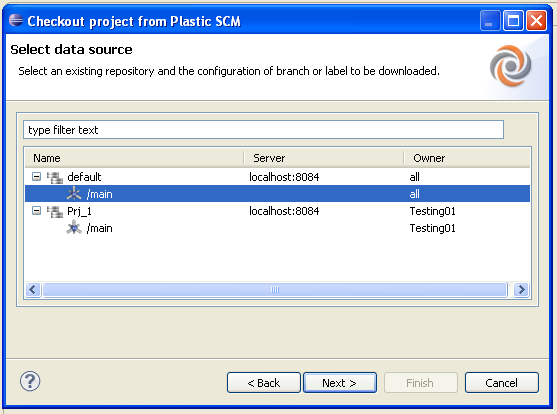 Now branches and labels are loaded asynchronously; this way the Plastic SCM view is not blocked while the data is being loaded. 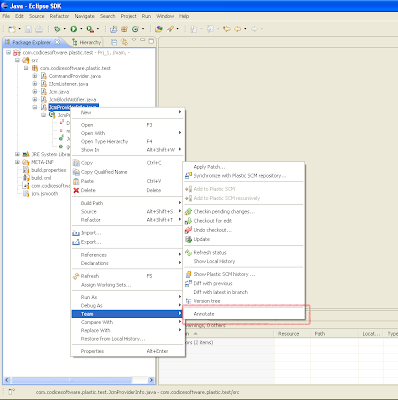 Text files are automatically detected and set as "text" type files by reading the first bytes of the file. Last but not least view the full release notes for the complete list of improvements and bug fixes in the last 3 releases here, and we hope you enjoy the improvements!